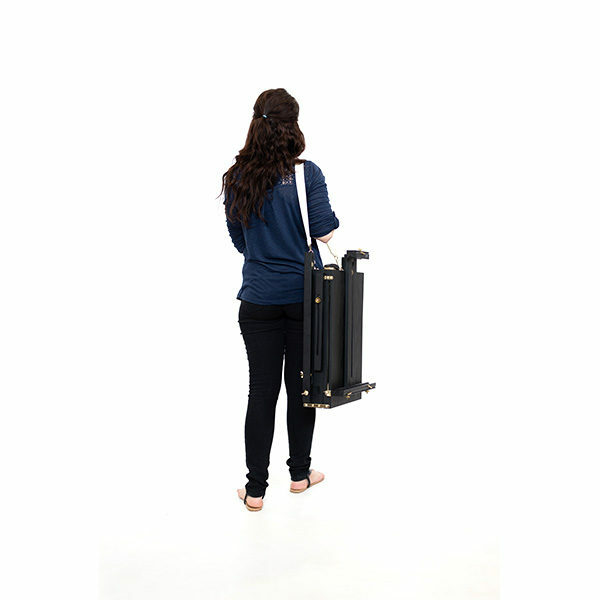 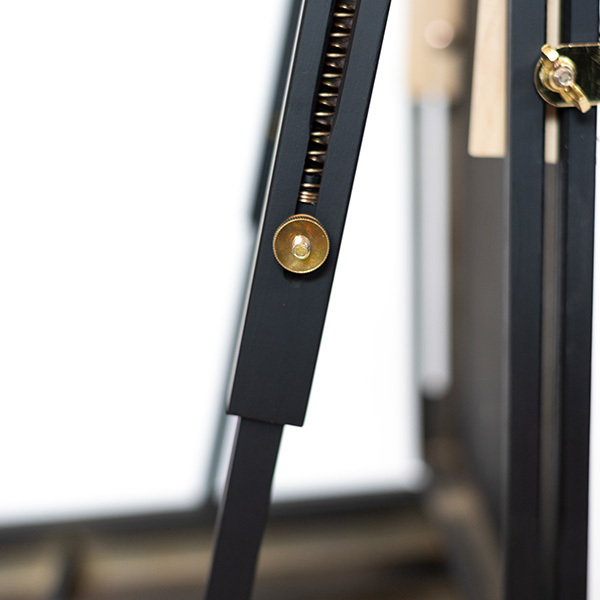 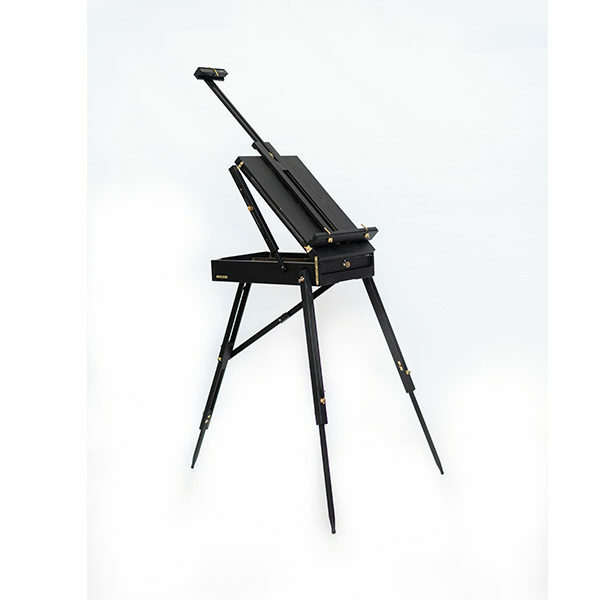 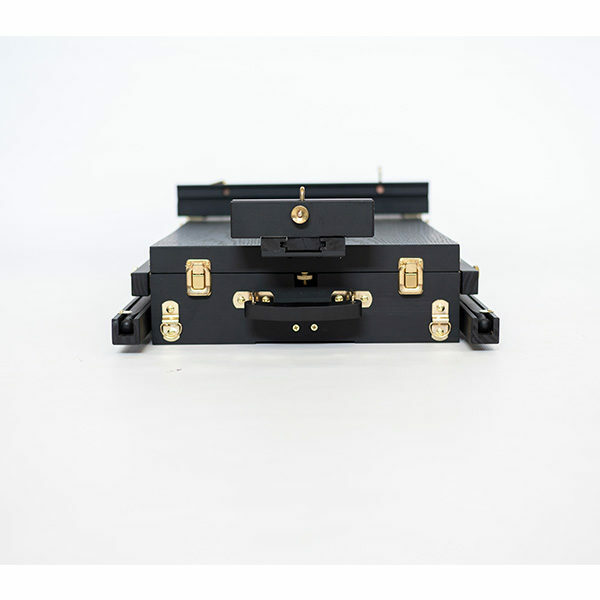 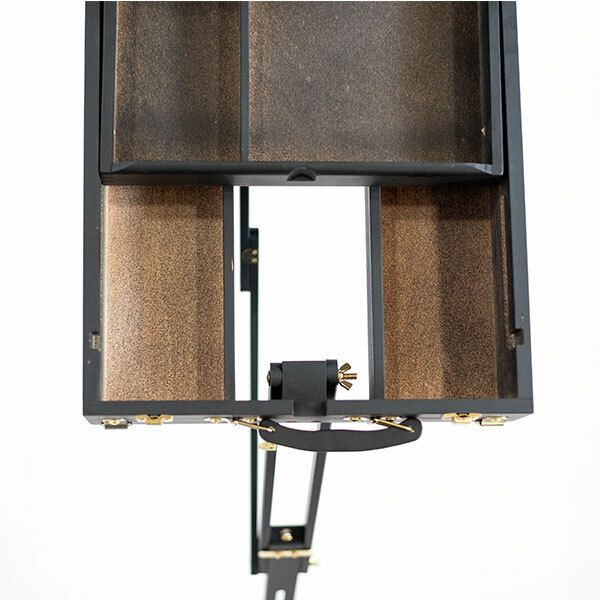 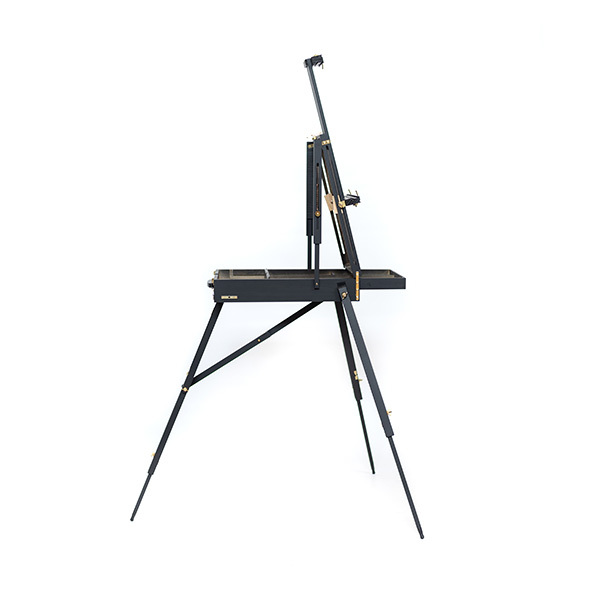 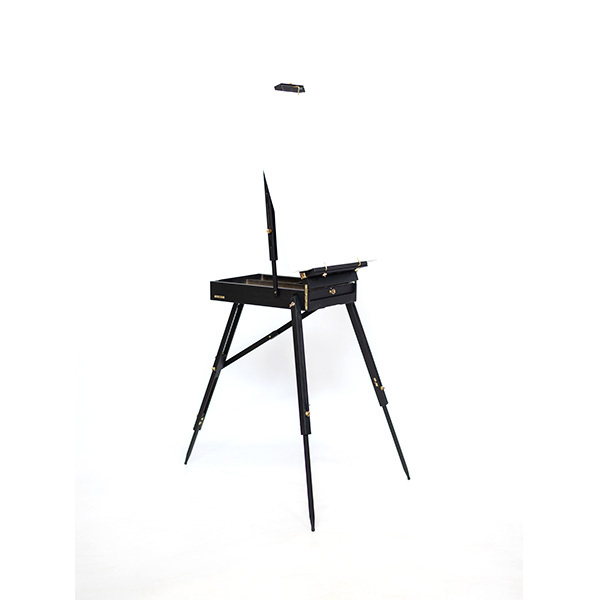 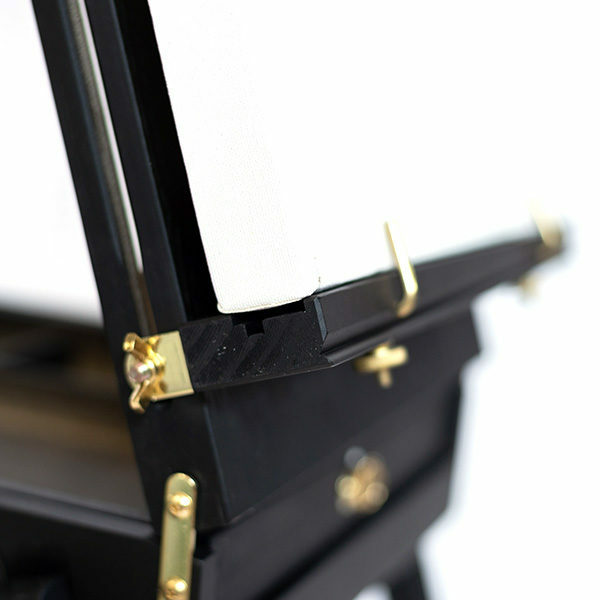 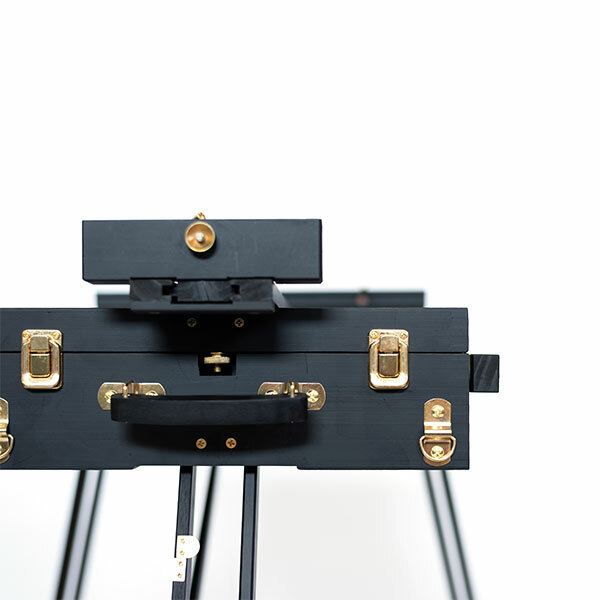 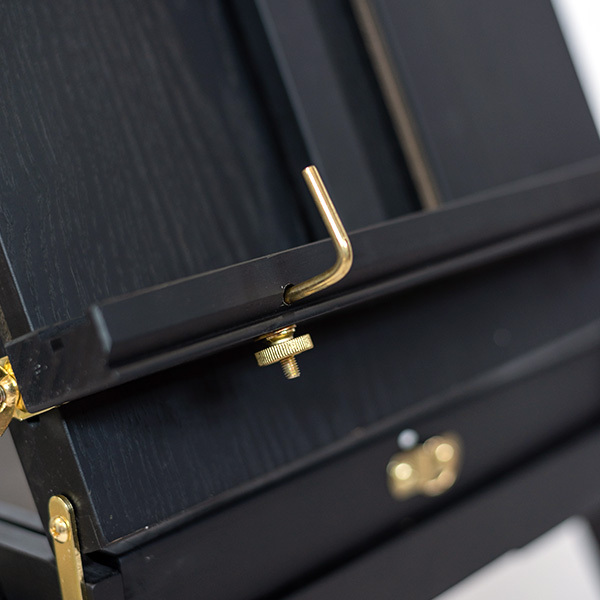 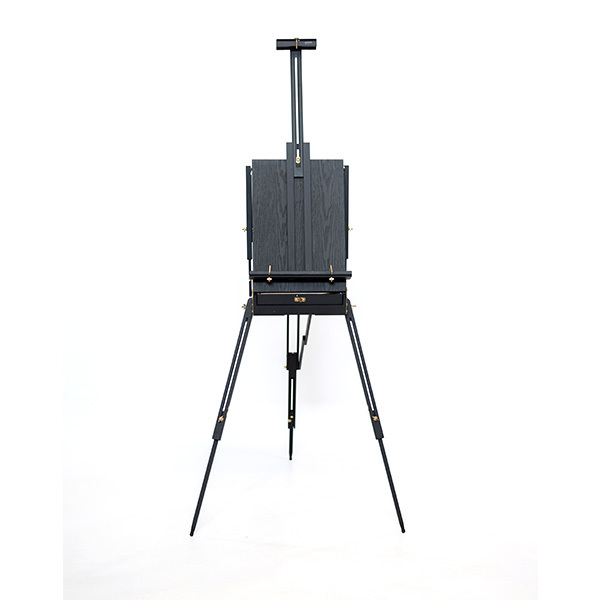 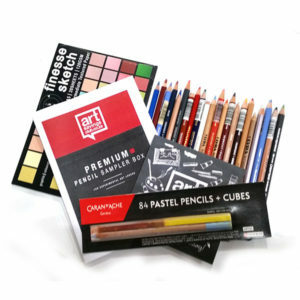 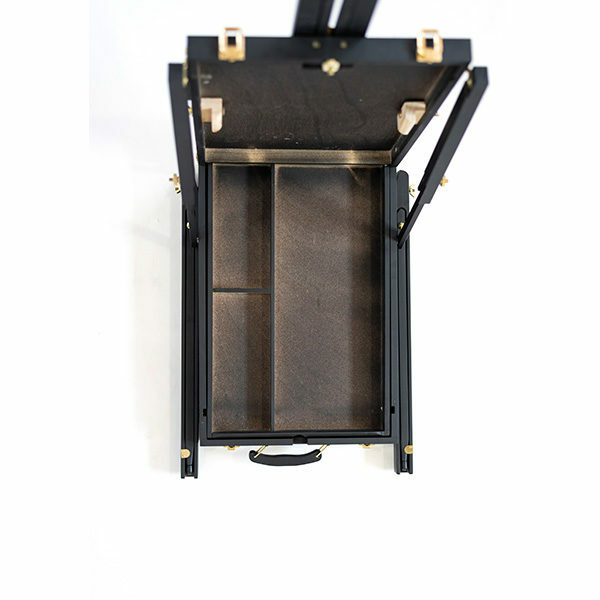 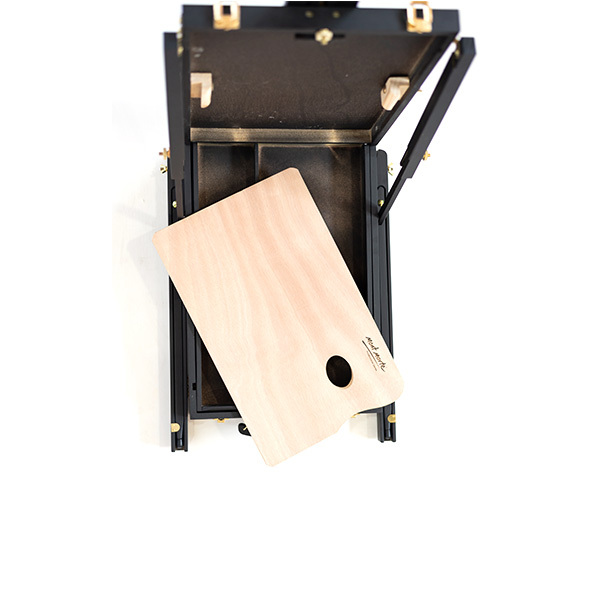 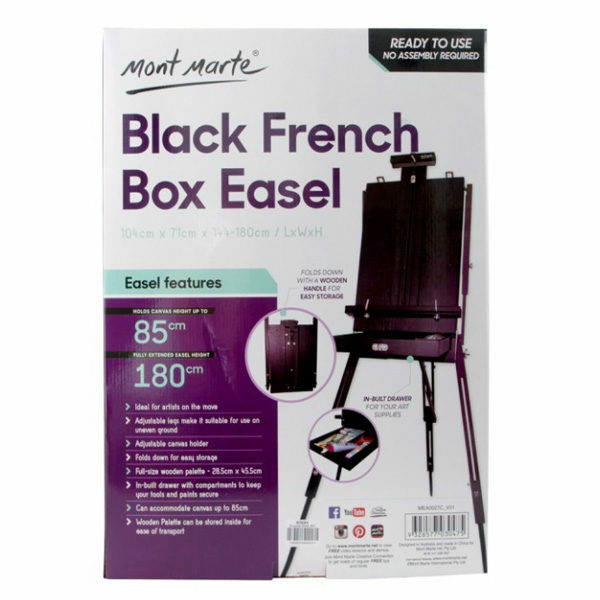 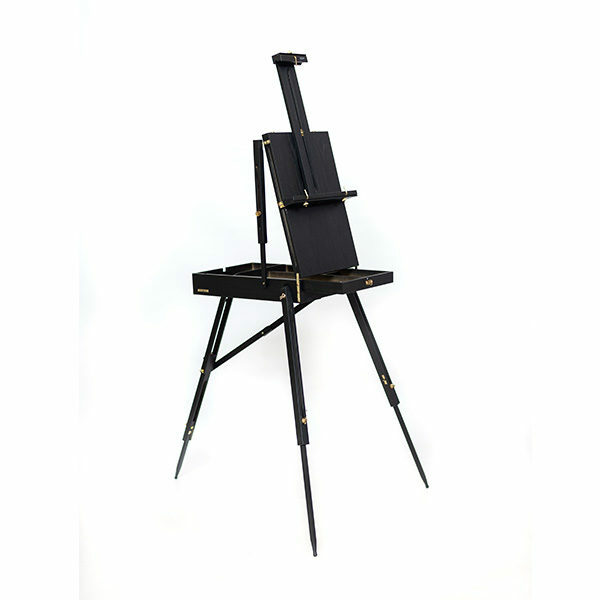 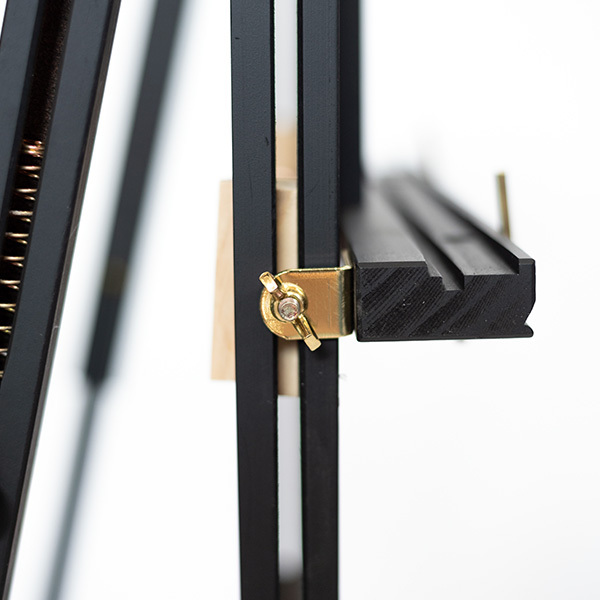 The Mont Marte Black French Box Easel is beautifully made from quality wood and is a highly functional field easel with adjustable canvas support (holds a canvas up to 85cm in height) and features a spacious sliding drawer for your art supplies. 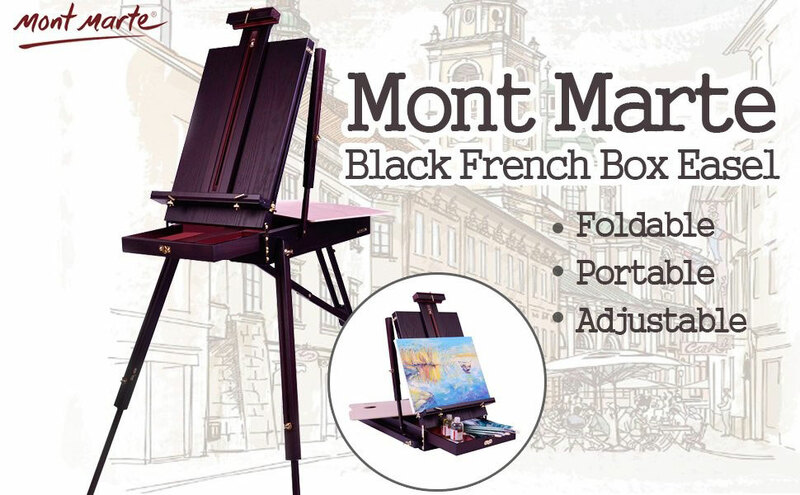 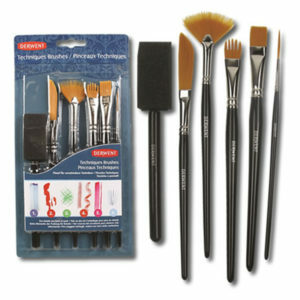 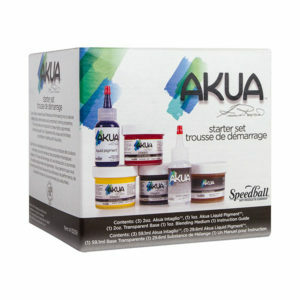 This unique easel is perfect for beginners and professional artists alike who paint at home or prefer to paint outside. 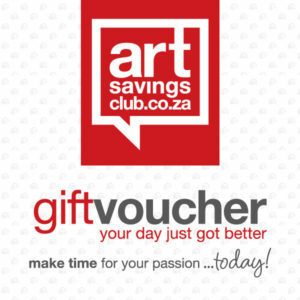 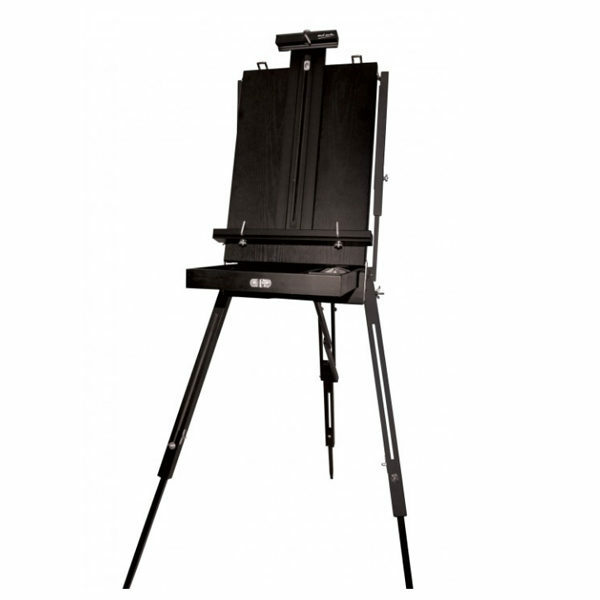 This portable easel has a wooden handle and a strap (1 metre length), for ease of transport when using outdoors. 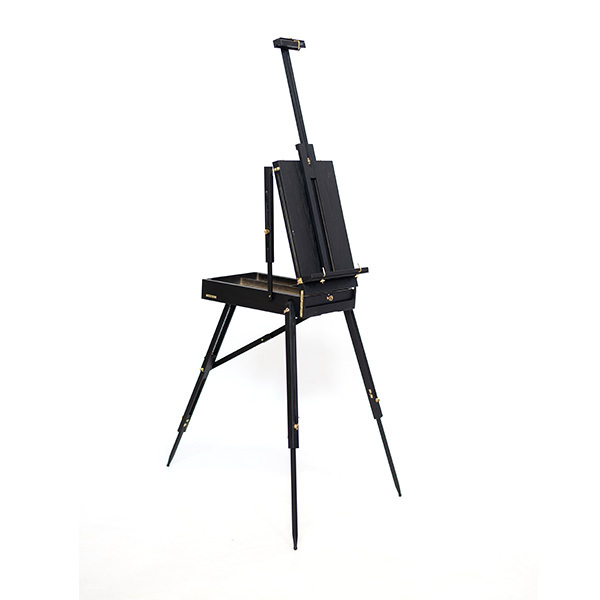 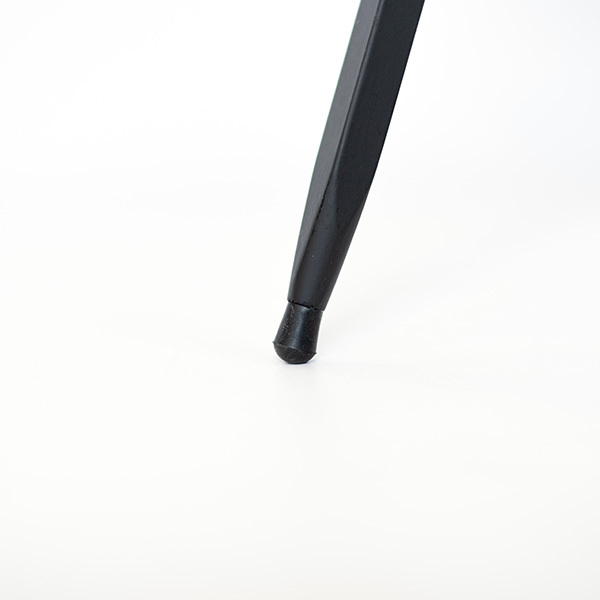 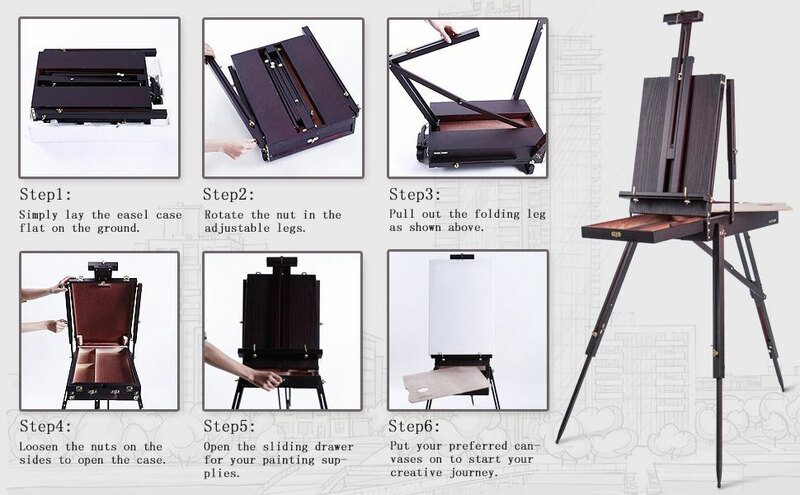 This portable easel has a wooden handle and a strap for ease of transport when using outdoors.